Meet the 2017 Caribbean Pavilion. This pavilion is dedicated to the islands that make up the region that we call the Caribbean. 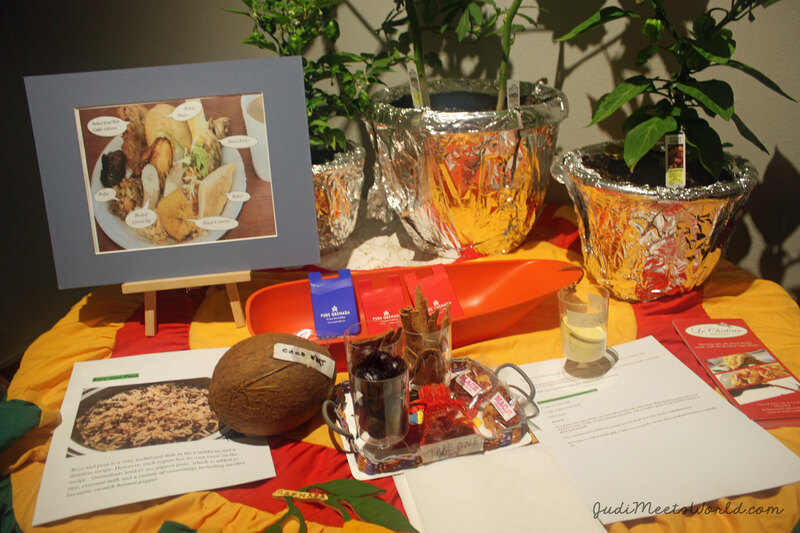 This year, their theme was the national foods of the islands in this region. Come early because this venue fills up very quickly (yes, even with its large size). Walking into the cultural display, you right away are greeted by the soothing sounds of the steel drums. The team from Winnipeg Steel Orchestra are set up to play but also to educate. They explain the origins of the instruments and music, and also how they play. You can see the notes marked out in the different areas of the drum, and they’re ready to answer all your questions. There are tables around the room showcasing this year’s theme of the national foods. You will see items that are used in everyday cooking in the different islands, as well as key spice and herbs that are typical to the cuisine of the area. 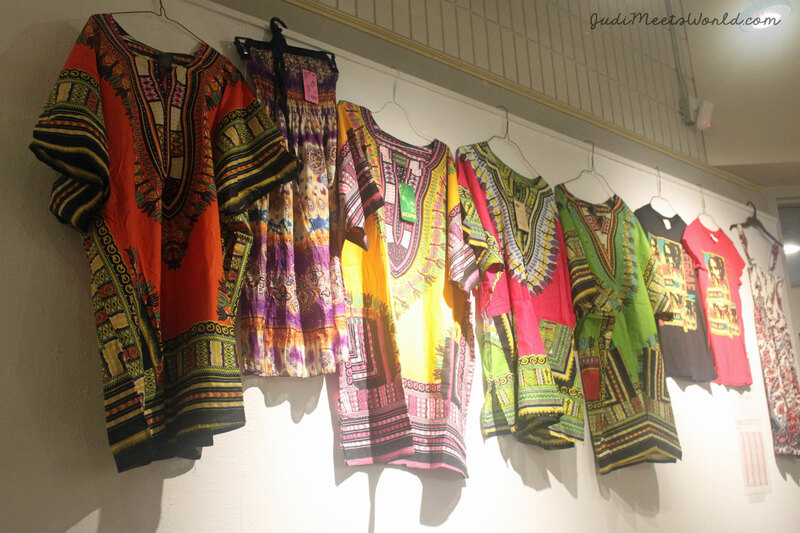 You can also pick up some Caribbean clothing for yourself or as a souvenir at their souvenir tables. I opened my notes and the first words that popped up for me were: “GINGER BEER!! !” 🙂 If you haven’t had this non-alcoholic specialty, you’re missing out on life (haha). Their souvenir program comes with a full menu of everything from their main courses down to desserts. There is quite a long line to get a meal or drink (can you blame them, really? Everyone wants this food – plus, you’re in the Caribbean). I personally like the patty, roti and samosa for vegetarian options, although I imagine those salt fish cakes are delectable. For dessert, those pineapple tarts or the coconut sugar cakes don’t play around. They also list ingredients for those of us with allergies or dietary restrictions. As the very sassy and highly entertaining MC was starting us off, she called up the ambassadors who, I noticed, couldn’t stop swaying to the music. I glanced around the room – everyone, myself included, were all swaying to the Island Drummers who kept a steady rhythm in the background. 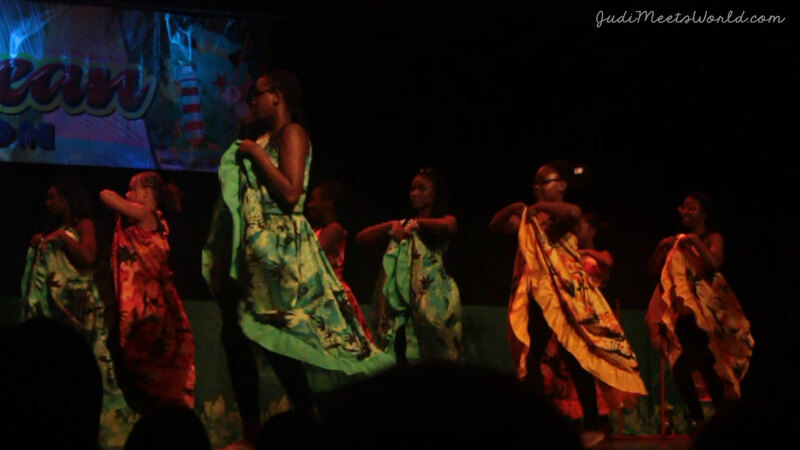 The show included dance numbers from different islands. Smile Jamaica was a contagious one, as well as an East Indian-influence dance duo. 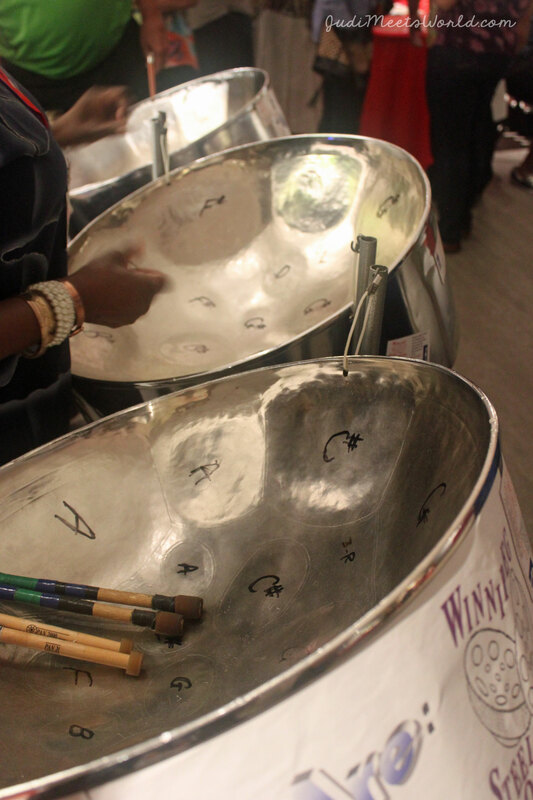 There were musical numbers by the Hi-Life steel drum band and the very upbeat and soothing voice of Fenom. I first came across Fenom maybe 5-ish years ago, maybe later than that, but I could listen to her perform all day. Such an A-class performer. The highlight at the Caribbean came in the form of limbo dancing which had some audience participation. The teams at BOB FM and CJOB both had a go at it, until the Trinidad and Tobago based limbo duo Cory & Cindy. These two go lowwww and add another level of heat (literally) by lighting the bar on fire, but also a mouth piece that Cory lights as he goes under the bar. Bravo! Despite the packed room and the general buzz of people filling in the space, the ambassadors and volunteers make you feel at home. They help find you seats, they check in on you, and they stop and give you food/drink suggestions if you’re unsure what to get! 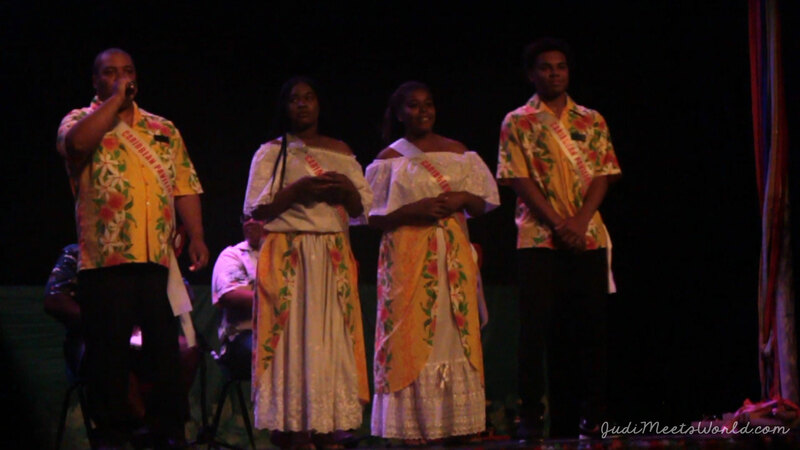 Congratulations to the organizers, volunteers and performers at the Caribbean Pavilion! Connect with me and let me know what your highlights were! Meet the 2017 Tamil Pavilion.